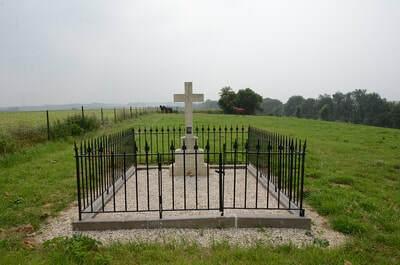 The hamlet of Étricourt is south of the road from Rocquigny to Equancourt on the Canal du Nord. 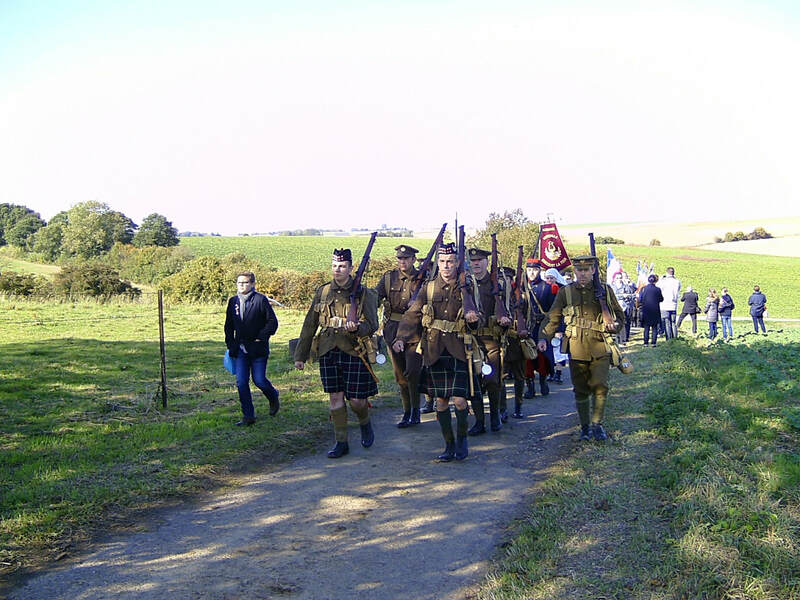 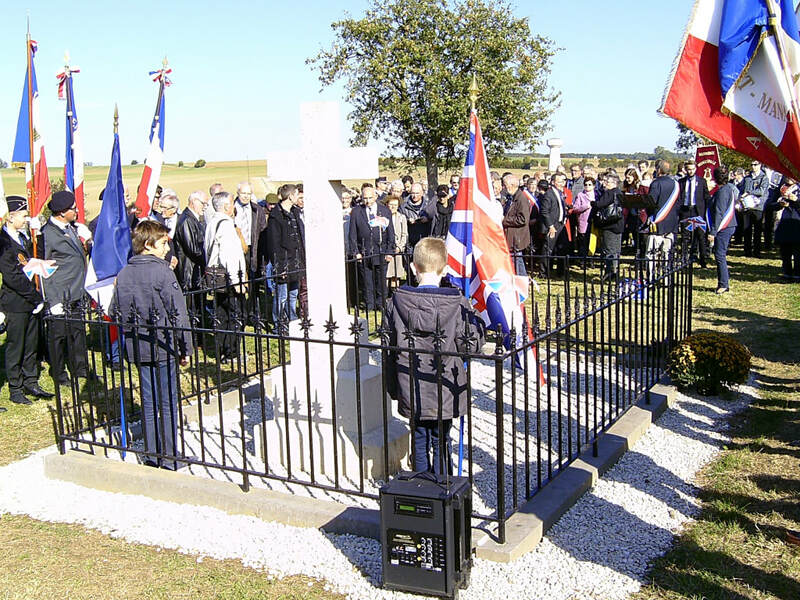 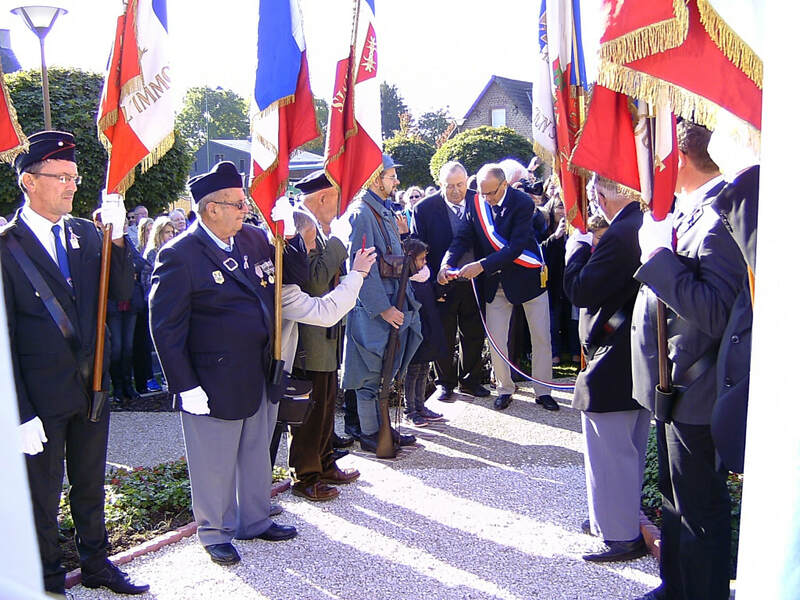 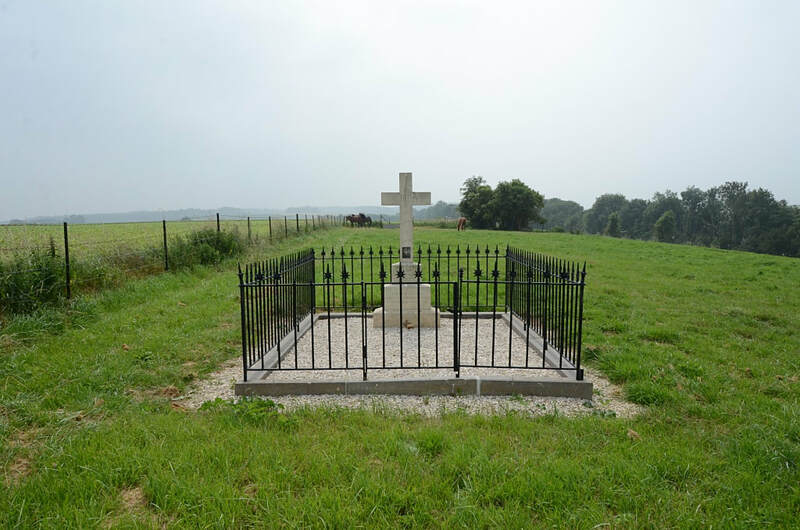 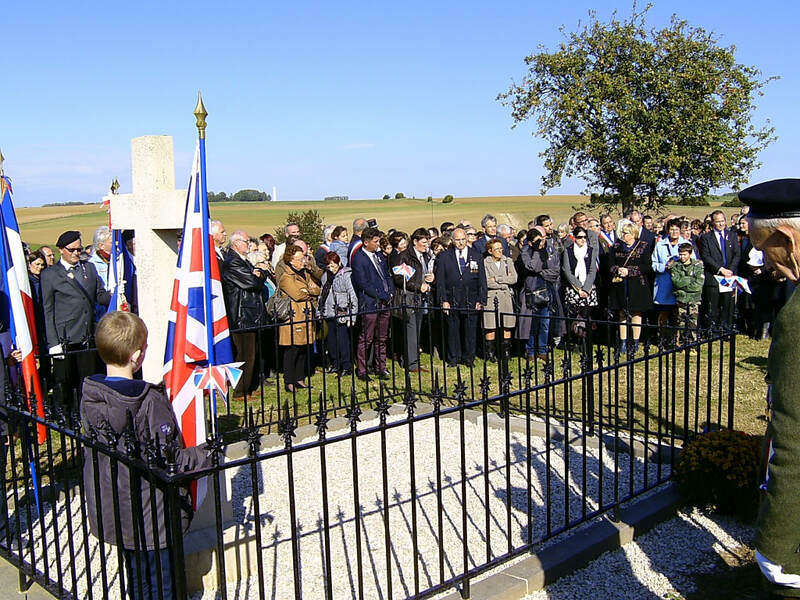 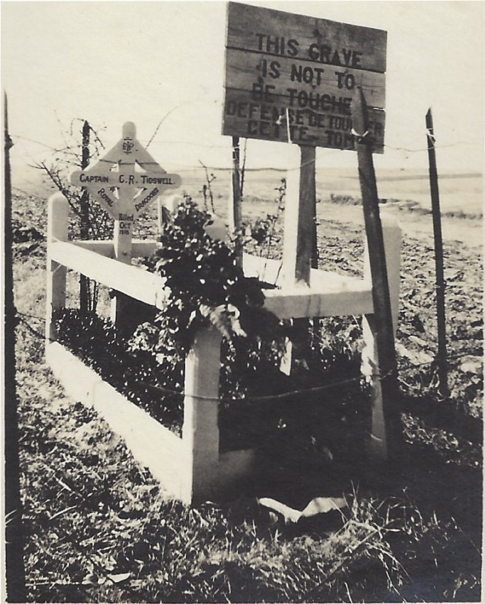 On the hillside west of Étricourt is buried a British airman, killed whilst flying over enemy lines and was buried by the Germans beside his machine. 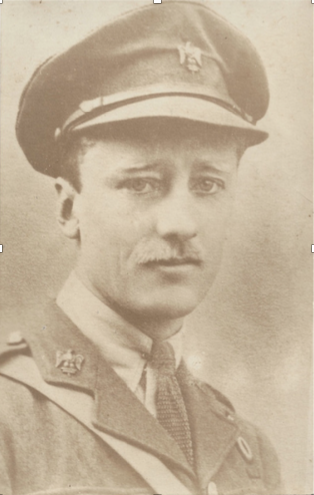 Captain Cecil Robert Tidswell, 19th Sqdn, Royal Flying Corps and 1st (Royal) Dragoons, died 16th October 1916, aged 36. 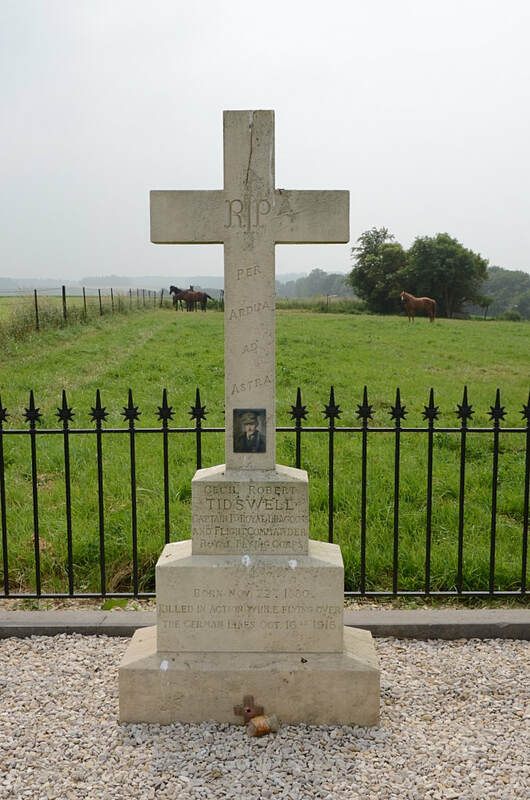 Son of Richard H Tidswell, of 49, Wilton Crescent, Wimbledon, London. 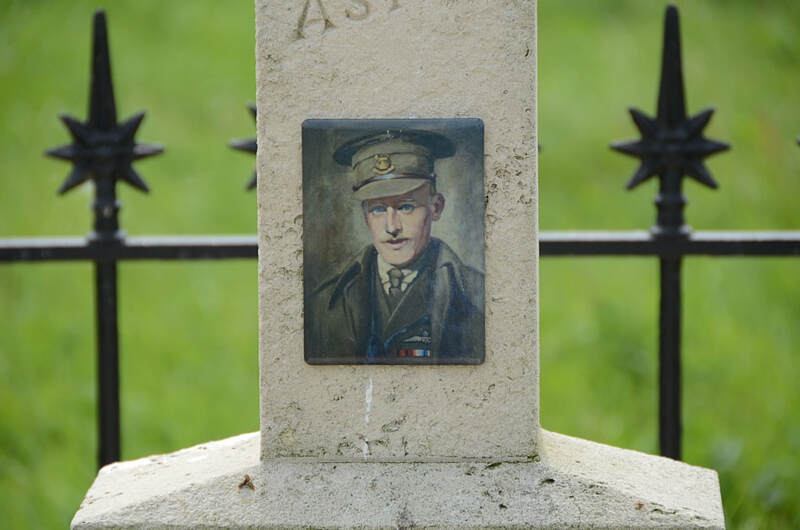 16th October 1916, aged 36. Son of Richard H Tidswell, of 49, Wilton Crescent, Wimbledon, London. 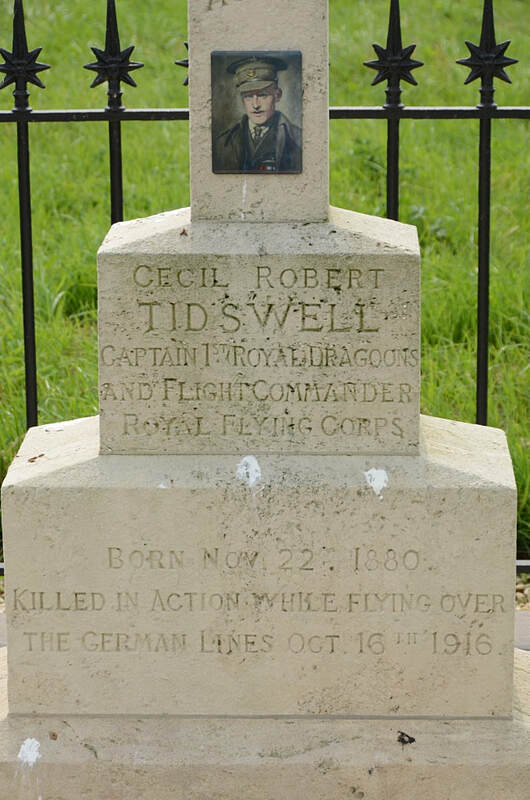 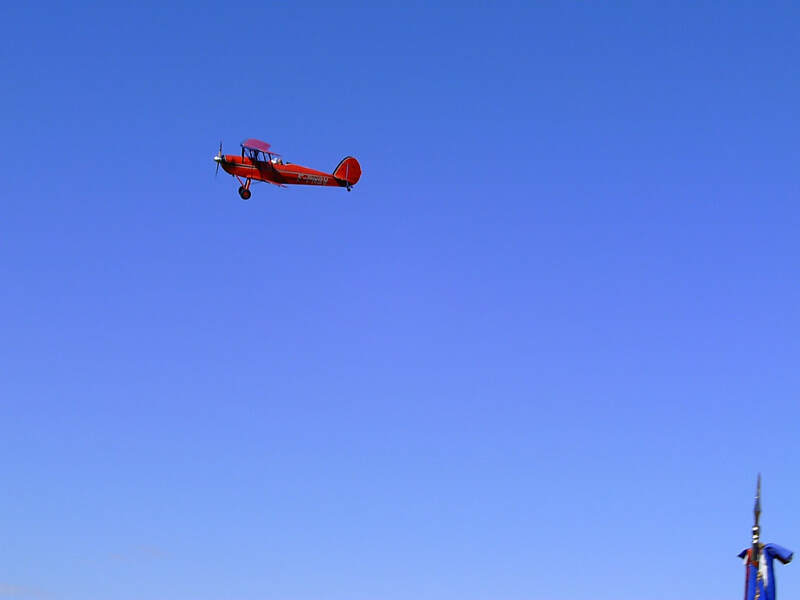 Captain Tidswell was shot down, reputedly by the Red Baron on the 16th October 1916. 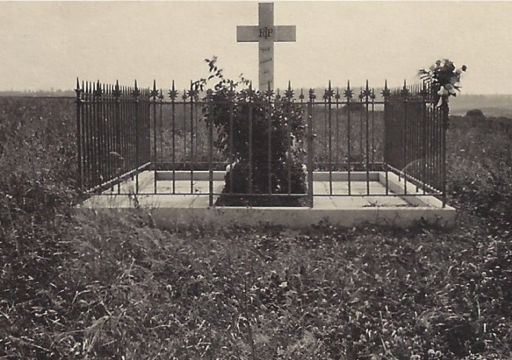 Two pictures from July, 1923. 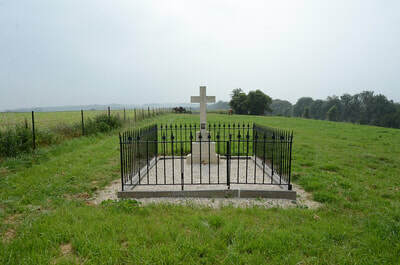 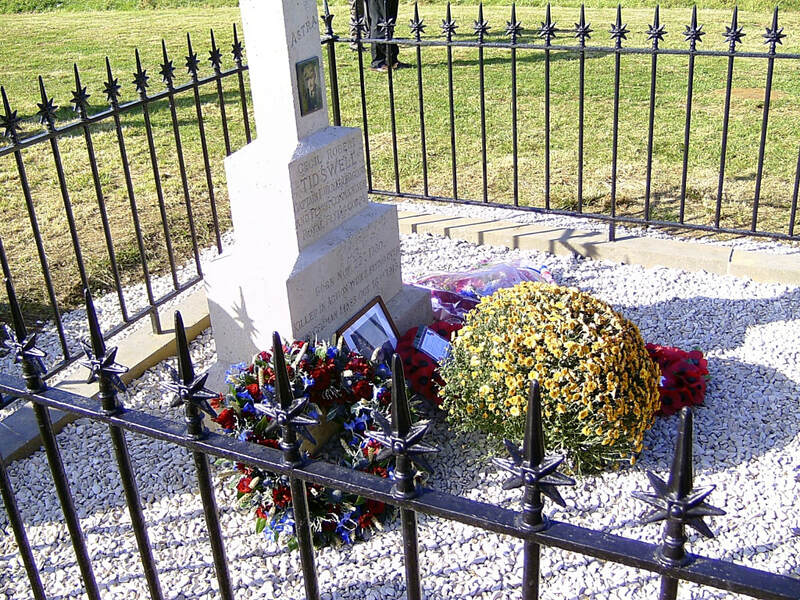 The grave is now maintained by the Commonwealth War Graves Commission. 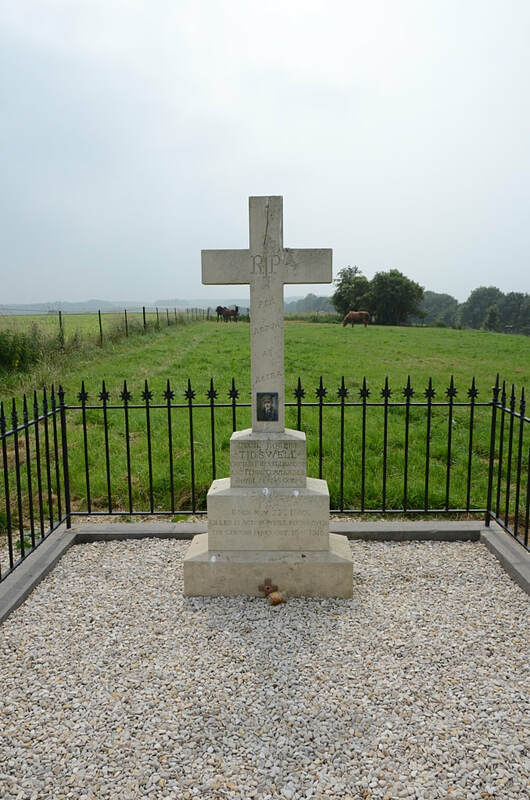 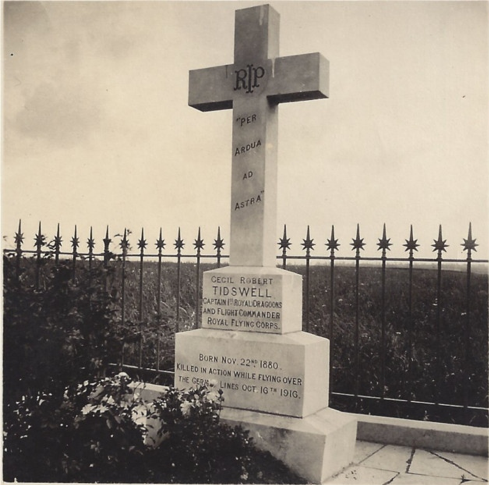 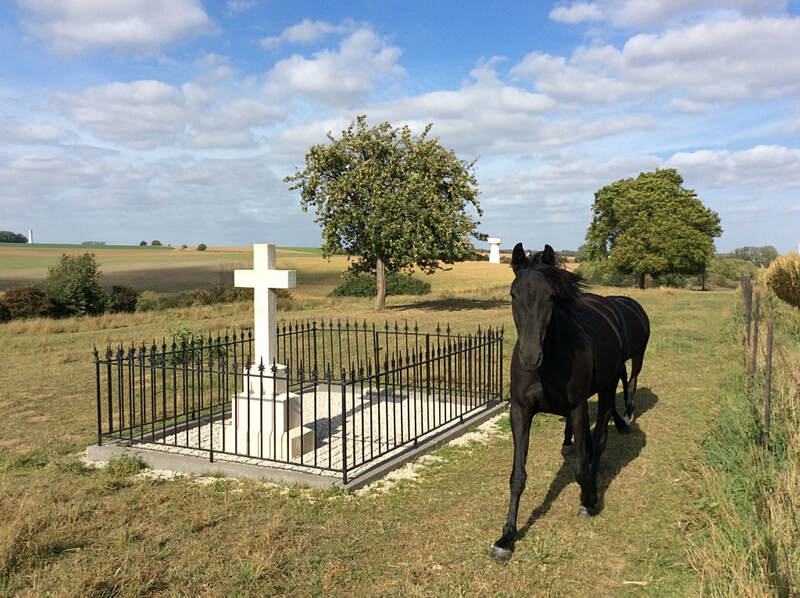 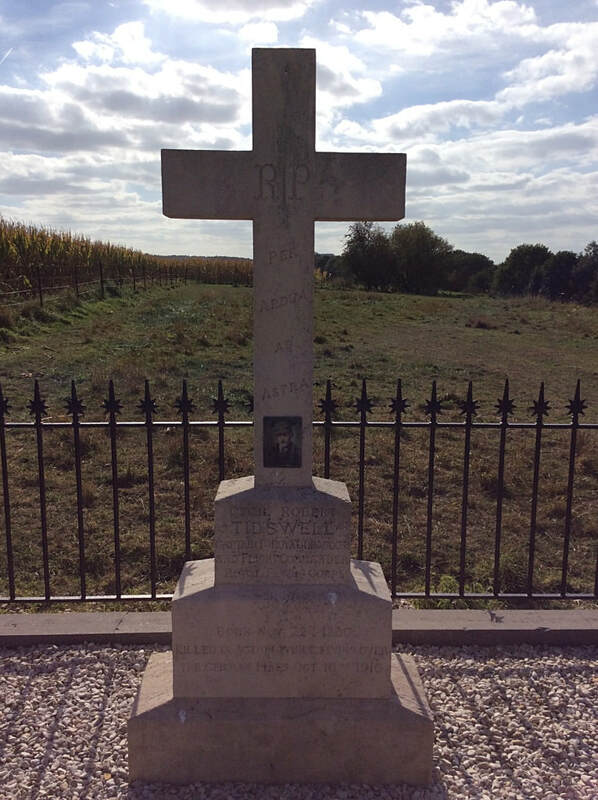 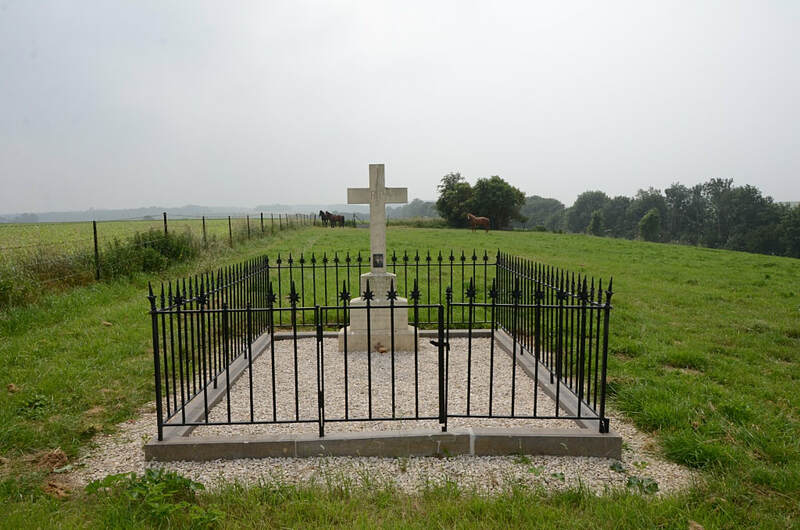 May, 1920: The grave of Capt Tidswell outside Etrincourt, close to where his aircraft crashed.